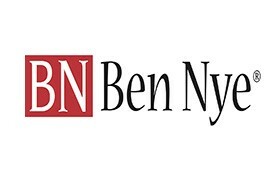 Ben Nye’s Personal Creme Kit provides professional quality at an affordable price. Personal Student Kits also provide strict hygiene for each actor. Seven kits, matched to skin tone, provide at least 12 applications each. 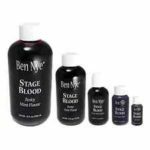 With all the basics present, it’s perfect for high school and college actors in stage, film or video. These kits will not disappoint in dance recitals, choral performances, stage and camera performances as they stay put under the glare of stage lights, heat and high energy numbers. Each kit includes the following components: Creme foundation, Four-color contour palette with creme rouge, highlight, shadow and lip color, Face powder, Powder puff, Eyebrow pencil, Flat brush, Sponge applicator, Stipple sponge. Replacement shades and tools are available and sold separately.